Two teams of scientists simultaneously announce the discovery of a lifetime—a breakthrough that profoundly alters our view of the universe. A Nobel Prize is surely not far away. 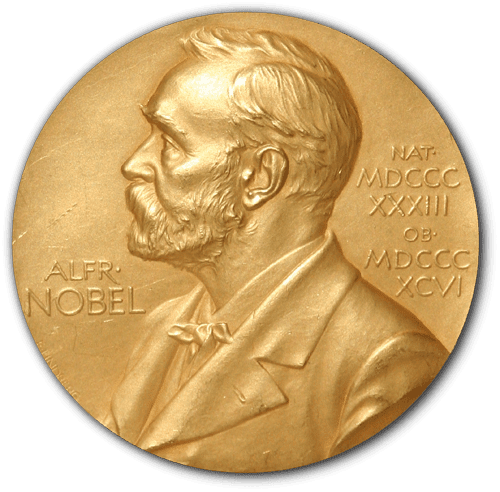 Yet the statutes of the Nobel Foundation state that the honor may not be “divided into more than three prizes at most.” A committee in Sweden now faces a knotty choice: Who among the teams’ many worthy scientists deserves to win the world’s most prestigious medal? This scenario could easily apply to the search for the Higgs boson, which appears to have reached its climax [see “The Higgs at Last?” by Guido Tonelli, Sau Lan Wu and Michael Riordan, on page 66]. But it could also describe last year’s Nobel Prize in Physics, for which three researchers representing two teams totaling 51 scientists were recognized for uncovering the accelerating expansion of the universe. These three winners were deserving. Yet they did not work alone. Many other researchers made equally important contributions but will not have the special asterisk reserved for Nobel laureates next to their name. Snubs are not new to the Nobel, of course. Physicists Nicola Cabibbo, Makoto Kobayashi and Toshihide Maskawa helped to predict a new family of quarks; today scientists use the “CKM matrix” to do calculations. Yet half the 2008 physics prize was split only between Kobayashi and Maskawa. That year’s chemistry prize recognized three researchers for green fluorescent protein (GFP), now widely used as a cellular tagging tool. Not included was Douglas Prasher, the man who first cloned the GFP gene. After publishing his work in 1992, Prasher freely shared his insight with two of the eventual winners before his grant ran out. At the time of the award, he was driving a courtesy shuttle for an auto dealer. The Nobel committees force a category error: they insist on awarding the prize to a few individuals, while in reality, the nature of the scientific enterprise has changed. Teams now perform the bulk of the highest-impact work. Whereas a century ago a patent clerk famously divined the theory of relativity in his spare time, discovering a Higgs boson requires decades of planning and the efforts of 6,000 researchers. No one person—no troika, even—can legitimately claim all the credit. The scientific papers that document the Higgs discovery are signed “The Atlas Collaboration” or “The CMS Collaboration,” with members listed alphabetically in appendixes that run more than 15 single-spaced pages.